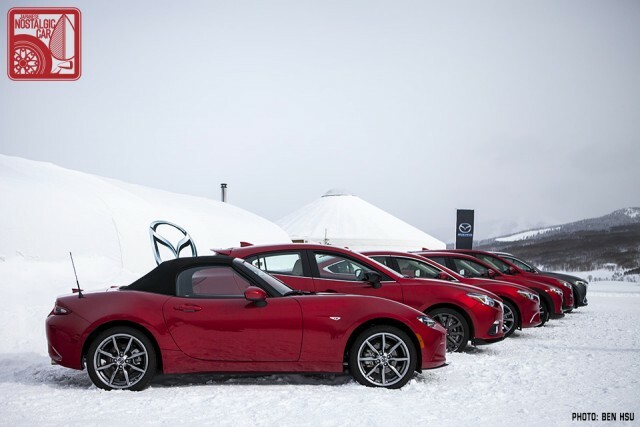 Last week Japanese media confirmed that Mazda was giving the 2019 Miata a significant power bump from 155 to 181 horsepower, and raising the redline from 6,850 to 7,500 rpm. Now Mazda North America has confirmed that the more powerful version of the world’s most affordable sports car will indeed be coming to America and Europe. We now know how Mazda squeezed 26 more horsepower out of the Miata’s mill and improved its revability — no easy feat for a small displacement of 2.0 liters. According to the company, internal engine friction and mass was reduced by reshaping the pistons and trimming 27g off of each one, as well as 41g off of each con-rod. 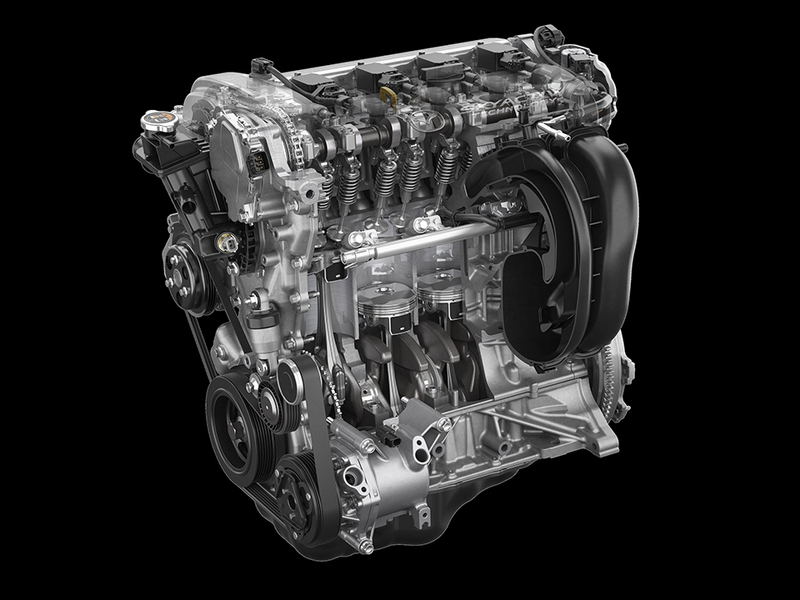 Though peak torque increases from 148 lb-ft to just 151, Mazda says there is improved twist at all rpms thanks to reconfigured intake ports and new high-diffusion, higher-pressure fuel injectors that atomize the fuel with a new tumble and swirl pattern. In addition, Mazda increased valve lift and angle, while expanding the diameter of the exhaust manifold, reducing pumping losses by 30 percent. The new exhaust system is said to provide a richer note as well. 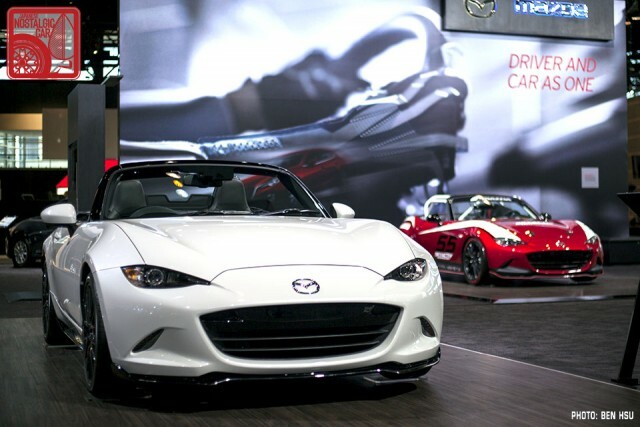 Mated A low-inertia, dual-mass flywheel, the Miata should provide a truly joyous throttle response and overall driving experience. Aesthetic developments include a optional brown canvas top, black metallic 17-inch wheels of a new design, and revised cupholders and seat levers. A telescopic steering column extends up to 42mm, which will be a boon for taller drivers. A backup camera, frontal collision brake support, and traffic sign recognition round out the safety features. As a result of the improvements, the Miata gains seven pounds. Mazda is quick to remind that engineers are still focused on reducing weight. For example, the addition of a telescoping steering column added weight, so they designed it in aluminum instead of steel. We knew Mazda had good things in store for the US-spec Miata, but it’s nice to have confirmation Someone very wise (let us know if you remember the source) once said that no car has spawned more car enthusiasts than the Mazda Miata. Its job was just made a lot easier. tagged: mazda, miata, Miata ND, mx-5. With a base price of $25,295 and models that people would actually want being 30k, the mx5 does not get the title of worlds most affordable sports car. This belongs to the 2018 and on Civic Si with a starting price of $24,100 and fortunately for us consumers they don’t tack on all these extra packages for 5 grand. This turbo charged civic produces 205 horse power and 198 lbs of torque. Also while achieving 38 mpg on hwy. how much was the mx5 again? Colin, The problem is you’re comparing two cars from completely different segments. 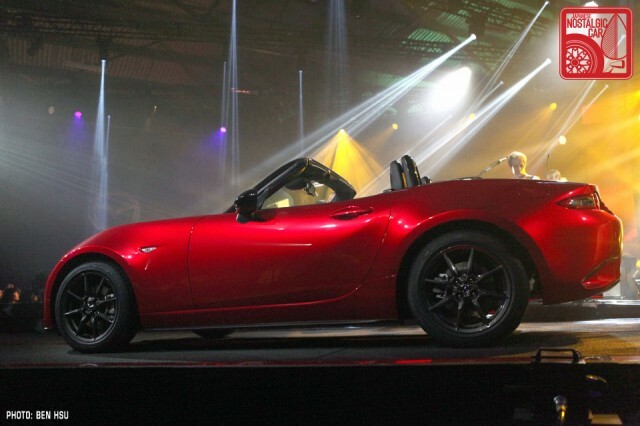 The Miata is purpose built convertible sports car. The civic on the other hand isn’t a sports car it is a sporty version of a economy compact car. Don’t get me wrong the civic isn’t a bad car, and I love sporty compacts, I drive a Fiesta St and my wife drives a Focus St but they aren’t sports cars. So I guess the civic type R and focus RS aren’t sports cars either? Yeah they aren’t. I mean, I think you can walk away with a BRZ or GT86 desirably equipped for cheaper than you can a MX5, so I too question the claim of “most affordable sportscar”. And even more so, Japan has the S660 and Ben said “World’s”, not “America’s”. But no, Civics and Focuses aren’t sportscars, no matter how awesome their trim levels. Not a judgement, just a fact. Non-sportscars can be faster/better/cooler/better handling than sportscars anyway. Evos aren’t sportscars but in time attack trim can spank almost anything on the planet.